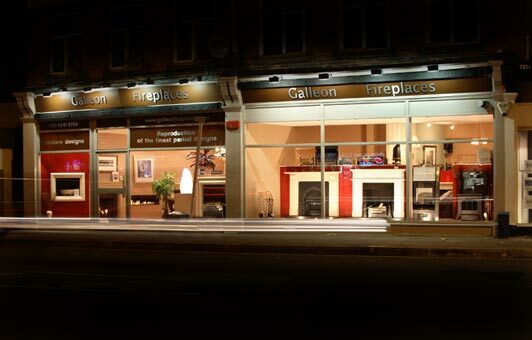 Galleon Fireplaces was established in 1938, and since become the leading supplier of period fireplaces. The company has an extensive showroom in South London, where over 80 fireplaces are displayed. We pride ourselves on our professional knowledgeable sales staff who can assist you with all your fireplace needs. As the company’s passion for beautiful fireplaces grew, the business began to evolve and to focus on the replication of period fireplaces. Later, the design and creation of stunning contemporary fireplaces complemented our classic collection.